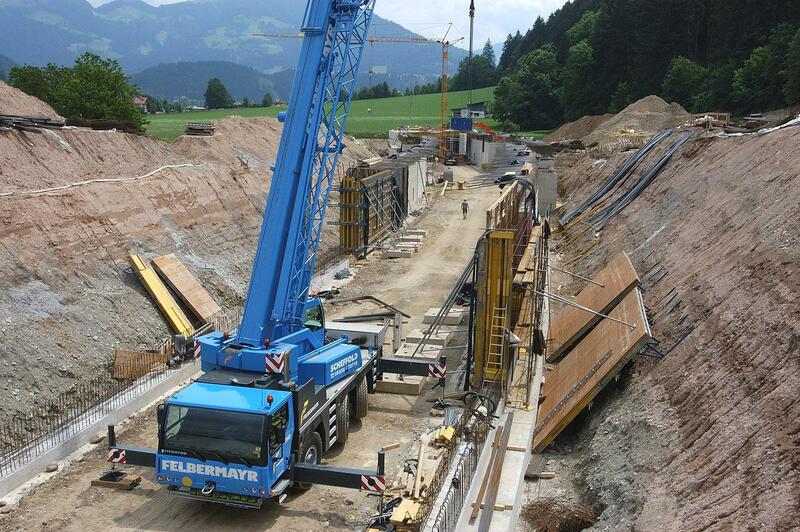 This cut-and-cover tunnel is exactly 1185 m long. With the exception of one short section, the cut-and-cover technique was used throughout. 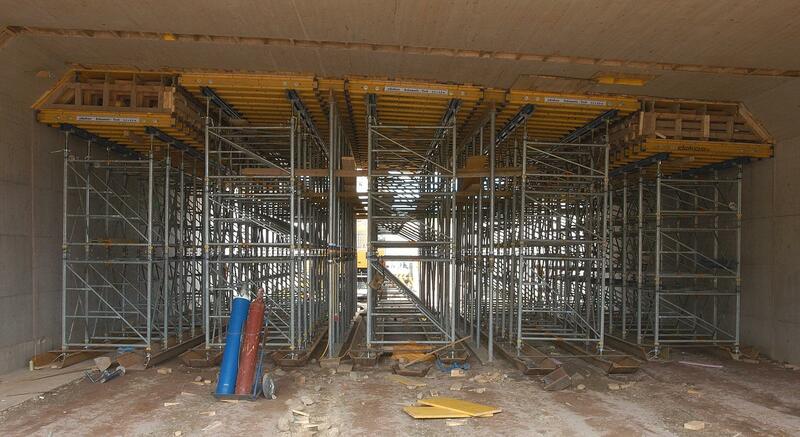 For this 1032 m long typical zone, the JV decided to re-use a Doka tunnel formwork traveller solution, assembled from components of the Heavy-duty supporting system SL-1, that had previously been used very successfully on the Telfs (Austria) western bypass. 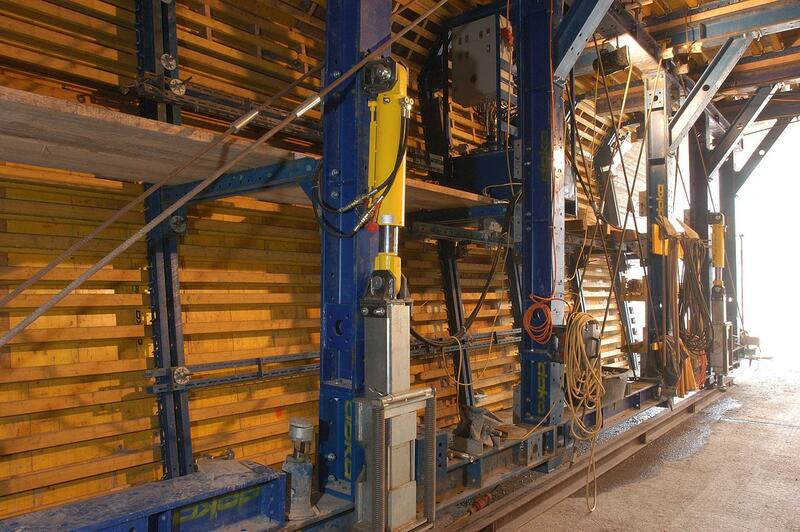 Thank you for your interest - Bruckhaeusl cut-and-cover tunnel. 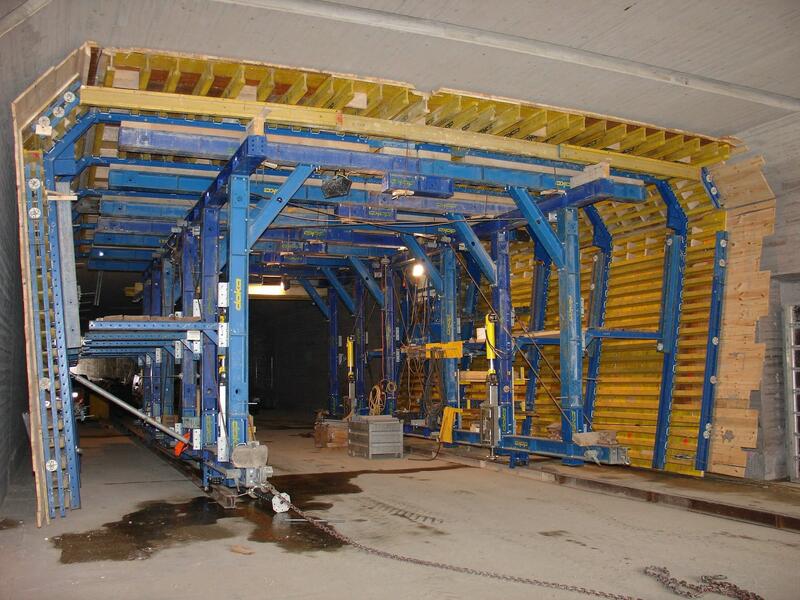 Thank you very much for your interest - Bruckhaeusl cut-and-cover tunnel.